Postdoc Will Tipping wins the European Society for Molecular Imaging Young Researcher award as the presenter of the best talk at the Scottish Molecular Imaging Meeting 2018. This time he has received free registration for the 14th European Molecular Imaging Meeting being held in Glasgow, 19-22 March 2019! 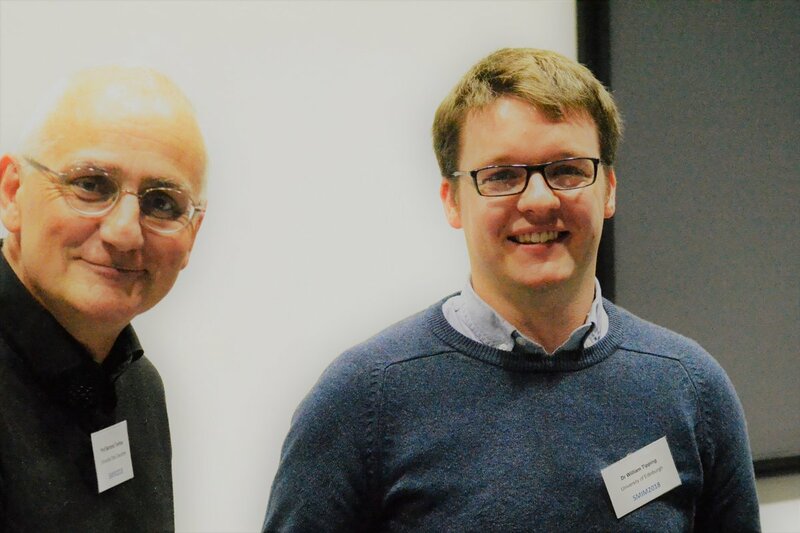 Will is pictured alongside one of the keynote speakers at SMIM 2018, Prof Bertrand Tavitian (Professor of Molecular Imaging and Director of PARCC Inserm, Paris).